As you’ll read farther down, this post was written during week four of the Lyme Disease Challenge (which launched March 2015). There was so much more to cover than this that I set it aside until I had “time” to do it justice. Now, at the beginning of June 2015, even in it’s less-than-thorough-enough state, it serves as a nice little walk down memory lane. Those intimately involved in the challenge will remember some of this, but may not have thought about then versus now, or remembered these specific events or weeks in awhile. For a bit of after-the-fact perspective, there was quite a bit going on at the time in the Lyme community, and each of many projects or events or issues had the potential to be exhausting on it’s own. Not least among them was IDSA’s review comment period. 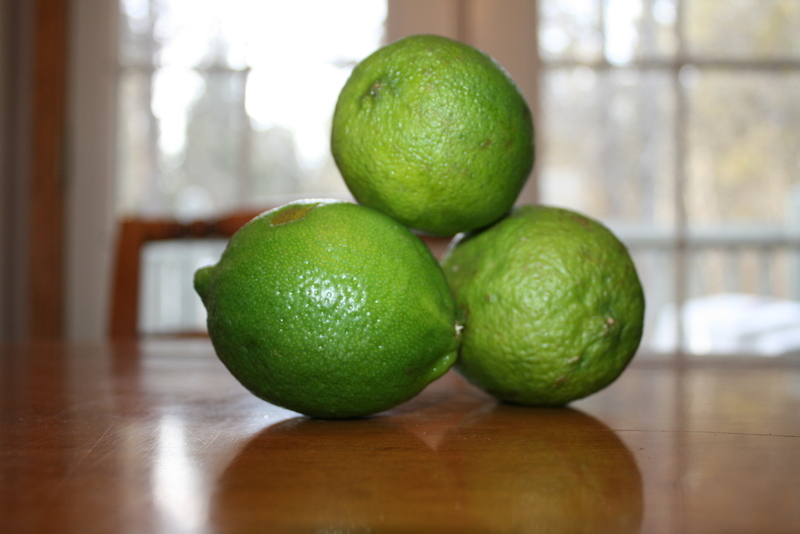 Week one of the Lyme Disease Challenge was an exhausting blur for many patients. So much so that many of us didn’t have time to complete our own challenges to family and friends. Several patients I know overdid it, and whether they themselves drew the cause/effect connections, I think it is safe to say they paid for it in terms of symptoms. I know that I did. It took a week or two for many to see and react to the need to slow down. Which we somewhat have done. Not in terms of enthusiasm or effort, but pacing has become important. With so much activity on social media, it is hard to step back and see the big picture and just what has been accomplished so far. But it’s a good thing to do when you have to balance your time and energy and health. It’s good to step back and learn from other’s efforts where time is best spent. Most of us trying to help with this are still figuring that out, as it has been a crash course in social media for people from all walks of life and all levels of experience, not to mention with all types of health, stamina, and neurological limitations. The organizers are helping with that, keeping volunteers abreast of what is needed and what’s happening and finding ways to motivate people to pace themselves. Participants can look to pages on the website and on the Facebook page to see what’s new and what’s happening. There’s more to the challenge than getting help from celebrities. 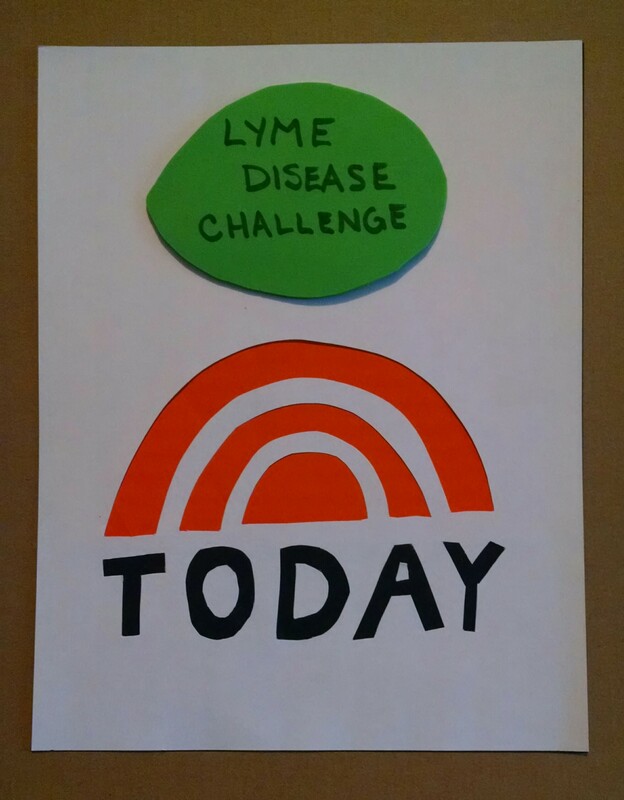 It is about friends and family spreading challenges and thereby spreading awareness, and hopefully eventually having it spread further and further outside the Lyme community. That is happening in leaps and bounds. This is being written early in week four. By now, so much has happened it’d be hard to capture it all. I’m sharing some of my own highlights from Week 1 here as a way to look back and see how far we’ve come, but also to see how much had already happened within the first week. This isn’t a full list, and one would be hard to establish (as noted earlier, with so much having happened so far already). It does show, though, who some of the people were that were fastest to respond (which I think deserves continued responses and gratitude ~ see links below). By the end of week one, some potential doors seemed like they might open up with the Today Show, with one of our organizers able to go to the show with a sign while in New York for a doctor visit. There’s a page of info on that posted, which so far mostly has the links and requests for help we were looking for at the time. But it gives some context to a lot of photos and residual posts you might see around on social media. I’ll continue to post on my Invisibly Lyme Montana facebook page, but have two small ‘spill-over’ pages, because there’s so much going on. One is Lyme Peeps (Challenge Albums, or whatever becomes most useful) and one is Chicks with Lyme. You can see my kids’ video in posts on this site as we get them done and posts, or via Youtube (Invisibly Lyme has a Youtube channel where those and other challenge videos will be in one or more lists).